A version of this article was previously published in the North Shore News. This edited version has been republished with permission. 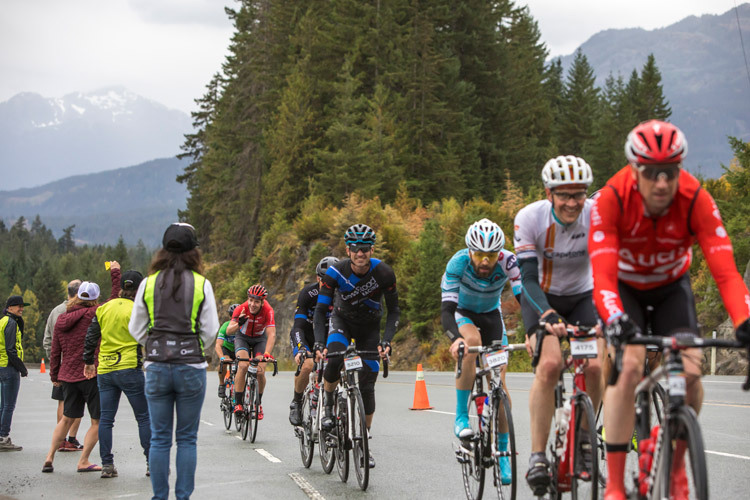 The RBC GranFondo Whistler is happening September 8, 2018 – register online now. With eerie synchronicity, cyclists materialize on the streets of Vancouver. They come from all directions and in the early morning mist they are quiet and focussed, seamlessly pedalling by as they anticipate the day’s challenging ride. Like clockwork, they weave in and out forming a stream that flows down Georgia Street where they join a river of riders awaiting their wave start at Brockton Point. 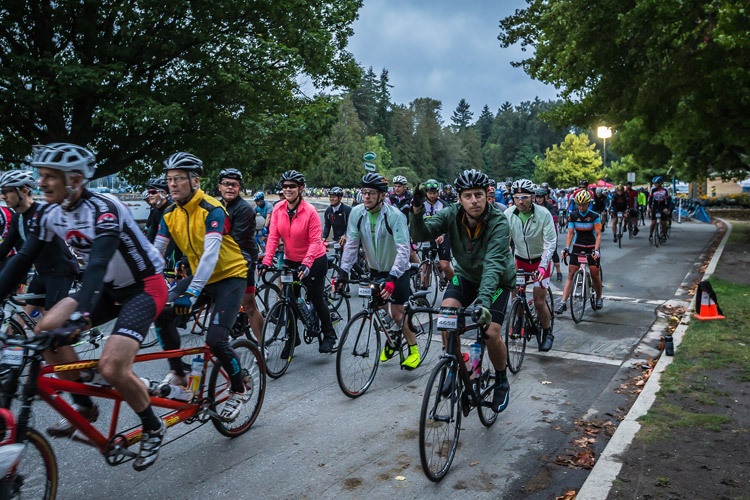 They follow the course route in their mind, thrilled at the thought of riding side by side with more than 4,500 riders on the stunningly impressive Sea to Sky Corridor. The morning is overcast, and friends cheerily jostle with each other as they get into position. While smiling, all are anticipating a hard day of riding. 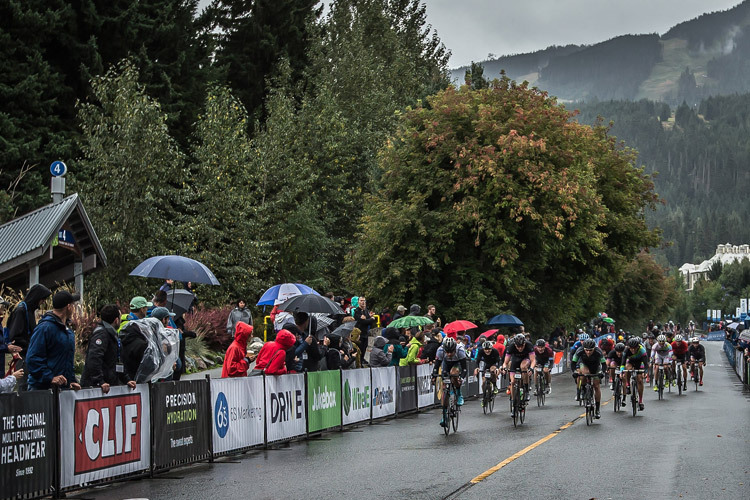 Even for the fittest rider, the RBC GranFondo Whistler could not be considered an easy ride. It is known for its spectacular scenery, epic climbs and significant elevation gain – over 1,700 metres climbed during the course of the ride. 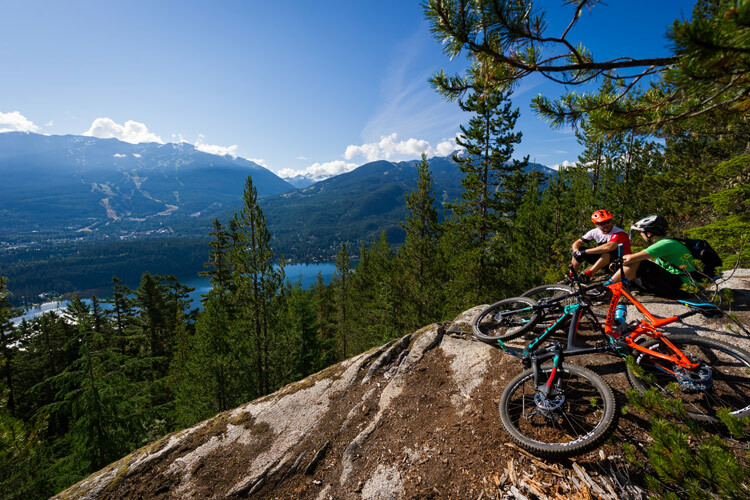 The truth is that most of the riders are a little nervous, and many have never climbed the hills that lead to Whistler. 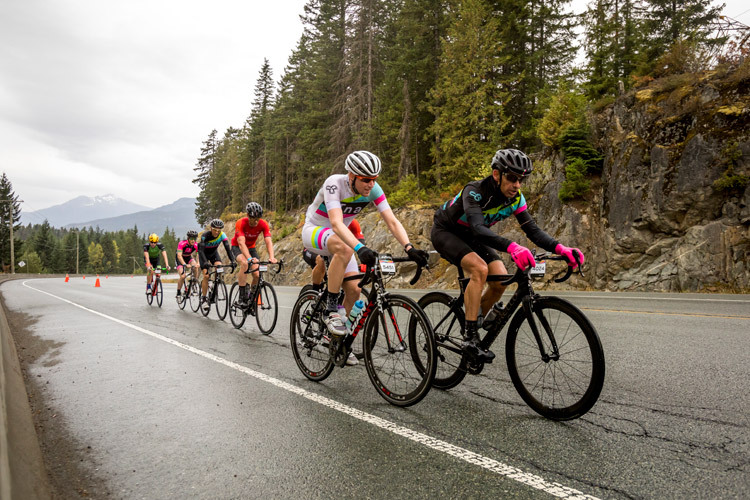 This GranFondo is an endurance ride: each cyclist no matter his or her ability is trying to do the best he or she can given the route and conditions. Unlike previous years, the conditions today are not ideal. The weather gods have decided to test our mettle by wreaking havoc with the perfect summer streak we have had until this day. It starts to lightly rain as we pedal across the start line and does not let up until we reach Porteau Cove. Riding along the upper levels in North Vancouver, we silently conduct a mental check of what clothing items we should have brought. Many of us are wearing cycling shorts, fingerless gloves, light layers and uncovered helmets and shoes. In short, we are ill-prepared for the rain. In spite of the worsening conditions, riders are in good spirits. There is a saying that a person’s true character is revealed in times of duress. This is never more evident than on the 2017 RBC GranFondo Whistler. At the second rest stop, I run across a friend who is wearing short sleeves and is so cold that her whole body shakes. Within seconds a man notices her distress and passes her a steaming cup of coffee to hold, after which he gives her his own rain jacket to wear. Examples of this generosity are abundant and combat the efforts of the clouds to dampen our spirits. The persistent rain and deepening cold are abated by warm rays of human spirit. All along the course from Taylor Way to Whistler Creekside, family and supporters brave the wintry weather to chant words of encouragement, play inspirational music, hold up posters, hand out bacon (Yes! Bacon! ), and set up extra water break stations. Leaving Squamish, the route enters a series of relentless inclines. Rain gushes onto my face and the temperature drops with each metre of elevation. I fight numb fingers and cramping legs. Although the rain and cold have increased, GranFondo riders ignore their own needs and potential time goals to lend a hand to one another: I see groups waiting for each other to change a flat, couples cycling together in solidarity, strangers offering a wheel to a fellow rider, and newly made friends engaging in idiotic banter to lift morale. My heart gleams at this unspoken etiquette of camaraderie in the cycling community and gives me the energy I need to finish strong. Even more astonishing are the RBC GranFondo support mechanics and course marshalls. These remarkably tenacious individuals ride the same challenging route as the rest of us, but in slow motion as they stop to rescue riders repeatedly throughout the day. These life preserving officials end up spending up to 8 to 9 hours on the course, changing flats, repairing bikes, and connecting riders with First Aid. I meet Matt Smith, manager of Obsession Bikes in North Vancouver, in the warming tent a full two hours after most riders have come in. 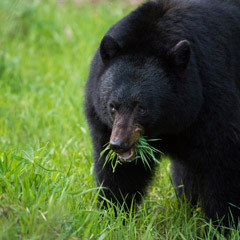 He spent the day working as a roaming support mechanic and is blunt about the conditions, saying, “It was hard to stay warm. We would stop to fix flats and my fingers could barely move, they were so stiff from the cold.” Matt downplays the adverse conditions as he was able to see the ride from a different perspective in his role: “If I had been riding at my own pace, I would never have made the same connection to people and heard their stories.” At one point Matt stopped to help a cyclist and noticed something flapping on his bike handlebars – a photo of a man’s face. Matt learned it was a photo of the rider’s best friend and cycling partner who had died of cancer just a few weeks previously – the photo was a way for him to feel like he was still riding the GranFondo with his best friend at his side. Recalling this story, Matt is clearly moved. Throughout the day, Matt and his partner change over eighteen flats, repair brakes and shifters, resolve chain issues, and help riders to overcome cramped legs. With each encounter, he is struck by the gratitude and appreciation shown. 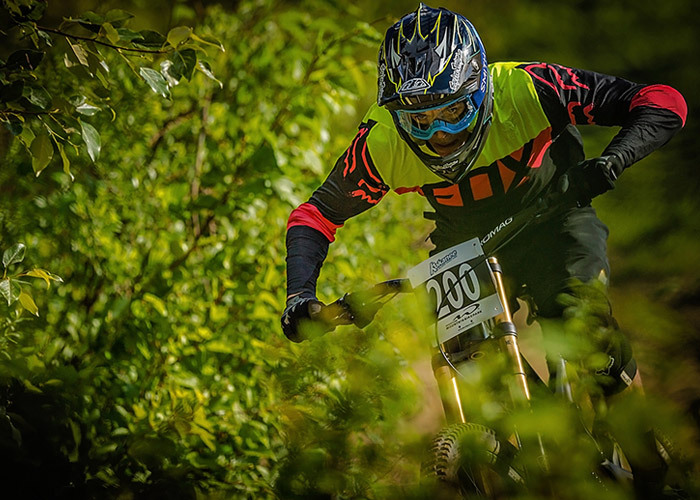 This sentiment is echoed by Rob Atwell, a course marshall attached to the Forte class riders. 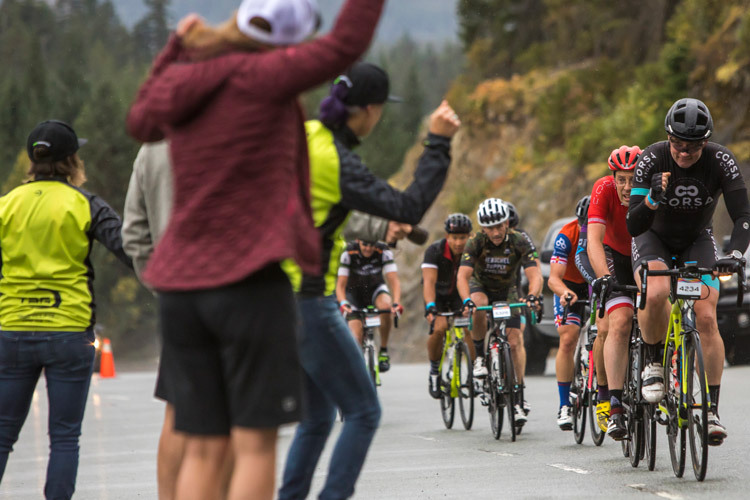 His job of ensuring that riders make safe decisions is not easy with the cold, wet weather, especially with a chilly descent down Cypress (the Forte class riders add an extra 30 kilometres to the traditional GranFondo route). He praises the heroic work of police and ambulance crews, Reckless Cycles who provide roaming repair trucks, and the BC Motorcycle Drill Team who together with the support mechanics and course marshalls round out a network of care. Looking back, both Matt and Rob agree that riding support made their day significantly longer and colder, but it also made it more rewarding. As for the rest of us, our safety was insured by these unsung heroes and their support gave us the courage to push forward. We forgive the adverse weather conditions when we hold a cup of Galileo coffee at a rest stop, when we look out at the shimmering expanse of ocean in the Georgia Strait winding its way up the coast, when we relish our dedicated lane unfettered by traffic or when we see rider helping rider. On September 9, 2017, the cycling community came together with bold hearts to support each other in a common love of cycling and the challenge of conquering a goal. 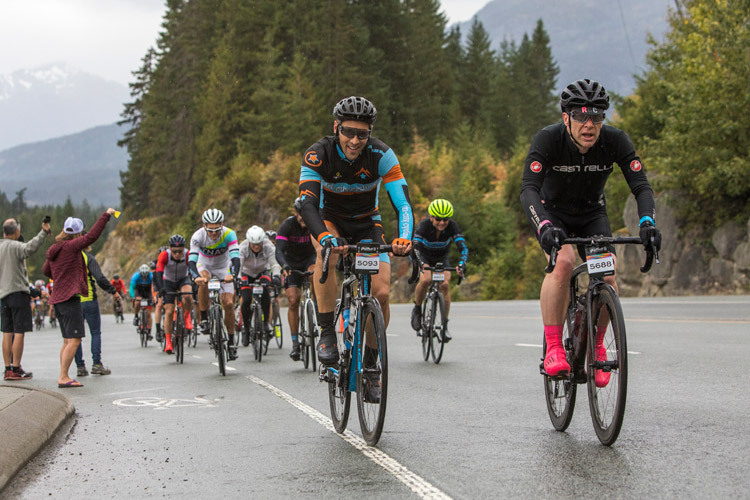 Whistler has been chosen to host the GranFondo Worlds in 2018, which gives you plenty of time to check out the course, gather your crew and plan your epic ride. 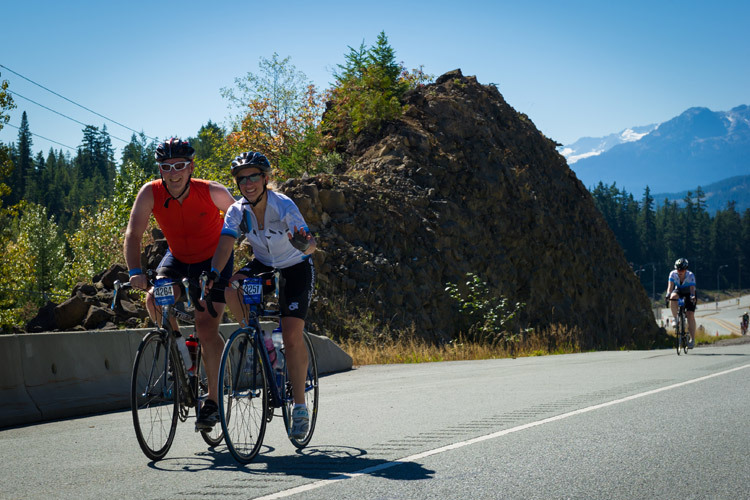 For more information on the RBC GranFondo Whistler, held each year in September, visit Whistler.com.